Whitetail doe hunt: $300 per half day or day, 1 doe when available (October) Additional does (if available): $75/doe. Deposit of $100 - refundable with cancelation before September 1st. 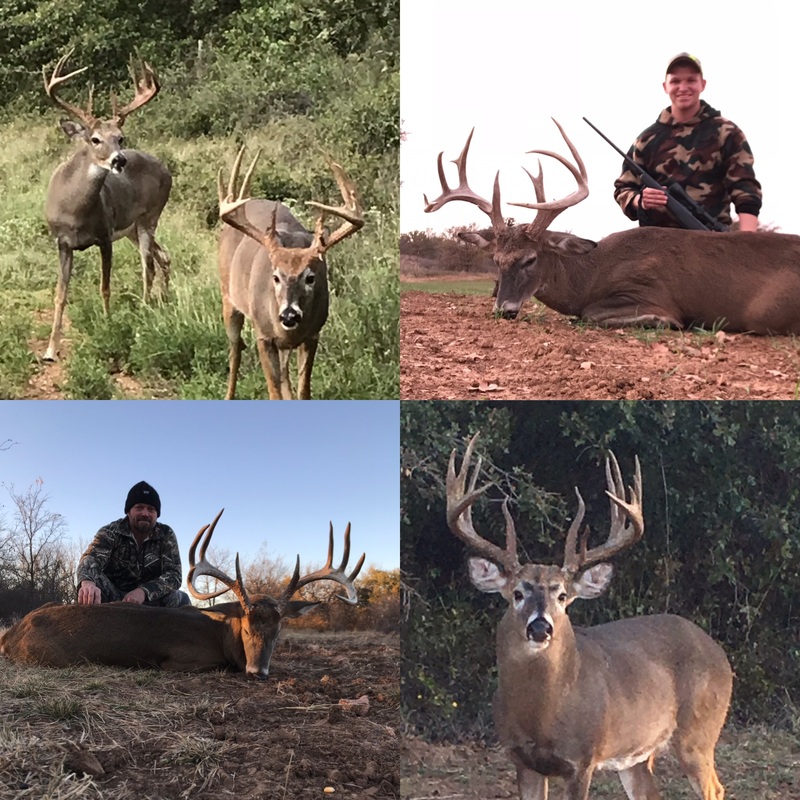 Whitetail management buck hunts: $600 per half day or day (November and December), guide's discretion (up to 125"). Deposit of $300 - refundable with cancellation before September 1st. Whitetail management buck hunts: $1,200 per half day or day (November and December), guide's discretion (126-135"). Deposit of $300 - refundable with cancellation before September 1st. All hunts scoring 140 and up are 2 day/2 night hunts - all inclusive. We are a non-alcoholic facility. 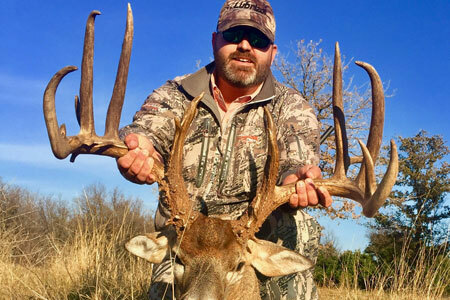 Daily rates on all whitetail buck hunts offered are $300 per hunter (if nothing is harvested), $150 per non-hunting guest. Rates include: one full day of hunting, guide and lunch. Lodging is an extra charge. Please refer to the lodging page for rates. A $1,500 booking fee is required. The booking fee will be applied to the hunt. Discounts for hunting groups of four trophy hunters! No refunds for cancellations after September 1st. Hogs are $50 each, any size with a paid hunt if seen during hunt. There are no individual hog hunts available. 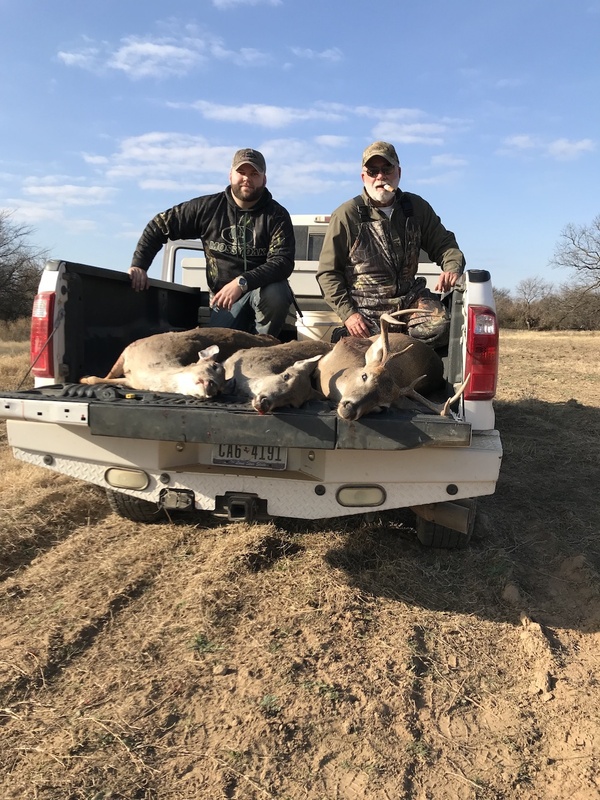 Included in the hunt: one on one guide and two on one guide, transportation on the ranch, cold storage, and field dressing. Charge for lost or wounded deer is 100% of the trophy fee. Not included: gratuity to your guides and staff, hunting license, firearms and ammunition, butchering/quartering of meat or taxidermy. Harvest transportation service to TrueLife Taxidermy can be provided for $125.